1. When should my child first see a dentist? 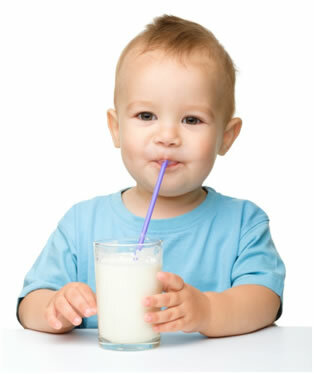 Your child should visit a pediatric dentist when the first tooth comes in, usually between 6 and 12 months of age. 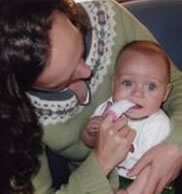 This visit will establish a dental home for your child. Early examination and preventive care will protect your child’s smile now and in the future. 2. Why so early? 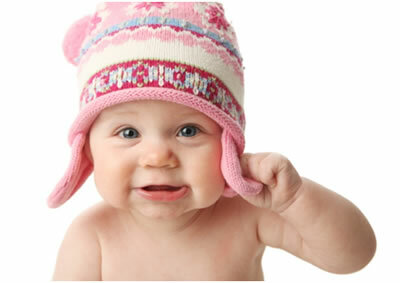 What dental problems could a baby have? 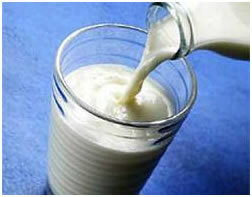 3.How can I prevent tooth decay from nursing or using a bottle? 4. 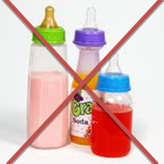 When should bottle-feeding be stopped? 5. Should I worry about thumb and finger sucking? The sooner the better! 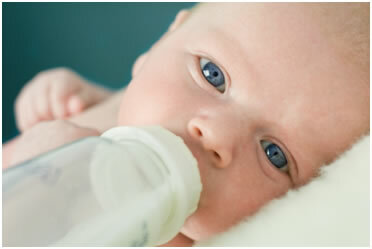 Starting at birth, clean your child’s gums with a soft infant toothbrush or cloth and water. As soon as the teeth begin to appear, start brushing twice daily using fluoridated toothpaste and a soft, age-appropriate sized toothbrush. Use a "smear" of toothpaste (A) to brush the teeth of a child less than 2 years of age. 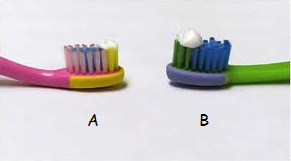 For the 2-5 year old, dispense a "pea-size" amount of toothpaste (B) and perform or assist your child’s toothbrushing. 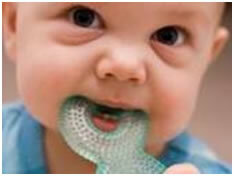 Remember that young children do not have the ability to brush their teeth effectively. 7. Any advice on teething?